Professional video production that creates visual stories. Your brand is unique. Don't just tell your customers, show them. Our video team has the state-of-the-art video equipment and extensive experience needed to create a holistic video masterpiece that puts all eyes on your business. Along with being the most effective way to evoke emotional connections, 71% of marketers say their video conversion rates outperform all other types of content. Leverage our team of videographers, editors, and animators today to get your custom video solution started. Tell us about your video project. Visual storytelling that drives conversions. Our video team is highly experienced in understanding the vision of a brand. We direct, shoot, edit, and deliver highly engaging video that reflects your brand's values and converts customers. Whether shooting on location or in our production studio, we deliver a variety of marketing videos with a focus on brand strategy. Contact our team of videographers, editors, and animators today to get your custom video rolling. We make it as easy as lights, camera, convert. Our pricing is affordable, flexible, and dependent on a number of factors. Get your free, no obligation video quote today by calling 1-800-838-3450 or simply fill out the form below. There's a reason 87% of marketers include video in their content strategies - it works. Video is the superfood of content marketing. Consumers feast on video content and they’ll come back for seconds when your video production is great. From organic and paid social media to email marketing and website content, quality videos are an effective digital tool to capture consumer attention and showcase who you are in an authentic and compelling way. 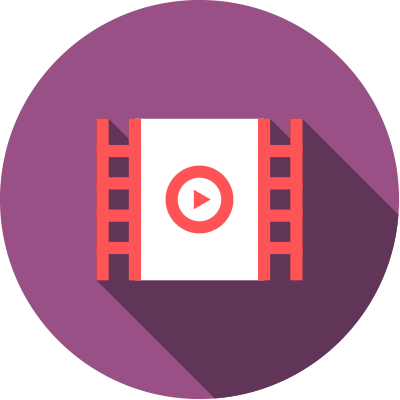 Video on a landing page increases conversions by 80%. An email with video included receives an increased click-through rate of 96%. From pre-production to post-production, our experienced video team is able to handle everything in-house. This results in a highly collaborative production that meets both your creative and financial needs. Our creative masterminds are eager to create video that boosts your brand to new heights. So, let’s turn your questions into answers and your vision into reality. You’ll be the astronaut and we’ll be the rocket. It all starts by filling out the form below. A crucial step in any video production is pre-production. Whether you already have a written script or only a general idea of what you want, our video production team ensures the necessary steps are taken before pulling out the cameras. We offer all pre-production services including storyboarding, scriptwriting, location scouting, budgeting, and production planning. Our spacious video studio is dedicated to capturing high-quality clips in a fully controlled environment. Complete with green screens, teleprompters, backdrop options, studio lighting, professional audio recording equipment, and top-of-the-line 4k video cameras, our video team has the resources and experience to produce high-impact, professional video that leaves viewers wanting more. Want to show off your one-of-a-kind employees, equipment, or workspace? We bring the production to you and create a highly artistic video that showcases your unique point of view. Our video production tool belt also includes a GoPro camera capable of capturing immersive 360-degree footage, and a highly-advanced drone made to capture smooth and stable 4K video at heights as high as 3 miles. With drone pilot certification and years of experience filming in manufacturing facilities and high-traffic warehouses, rest assured our video experts keep a mindful focus on safety and budget concerns. Our editors are pro users of Adobe Premiere and After Effects software. Once we have the video footage needed, our video editing and motion graphics experts add the necessary animation, typography, graphics, voiceover, special effects, and branding to give your video the finished look it needs to succeed. Then, after a simple and collaborative review, your video is ready for its big debut! Choosing a video production team. Some video production companies are set in their old ways, not us. Our nimble team of videographers and animators create customized solutions suited to your needs. Give our video team a lot of direction, or none at all. And while some video production services are still stuck on the ground, Leverage is drone certified and ready to capture stunning aerial shots. With a full-service video production studio and an armory of video capturing technology, this team has all the bells and whistles needed to create marketing videos that are a cut above. Pan over our collective years of creative brand capturing experience, and you start to get the picture. Not all video is produced equally. Leverage can handle everything it takes to produce a high-quality marketing video, and beyond. With an array of content marketing services in our arsenal, including SEO, PPC, social media, and email marketing, we know exactly what it takes to strategize, produce, and deliver high-quality content to your ideal customer. Thinking it’s time to develop a robust content marketing strategy with videos that reflect your brand’s values and convert customers? Think Leverage.